The Chrome Web Store is more interested in pushing Chrome apps than giving users the best search results. 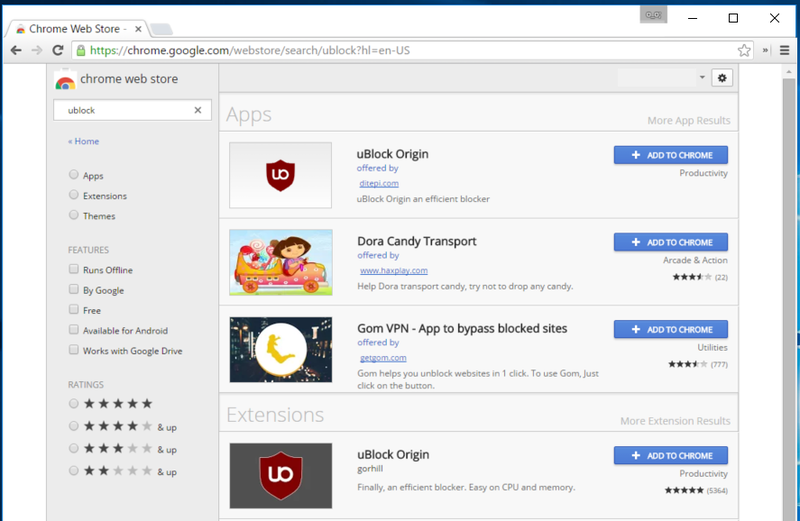 Search for many popular extensions on the Chrome Web Store and you’ll see misleading and potentially malicious apps first. 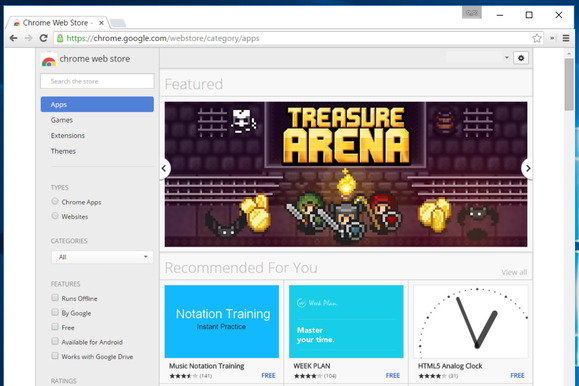 Google’s Chrome Web Store always lists apps before extensions, and hucksters have taken advantage of this to trick unsuspecting users into installing fake apps instead of the extensions they’re searching for. This needs to stop. It’s easy to demonstrate this problem. Let’s say you want to install a Chrome extension. You open Chrome’s menu, point to More tools, select Extensions, and then click the Get more extensions link at the bottom of the page. Or, you could visit the Chrome Web Store directly. Whatever you search for, you’ll always see three apps before any relevant extensions. All someone has to do is upload an “app” with the same name and it’ll always appear before the extension people are looking for. 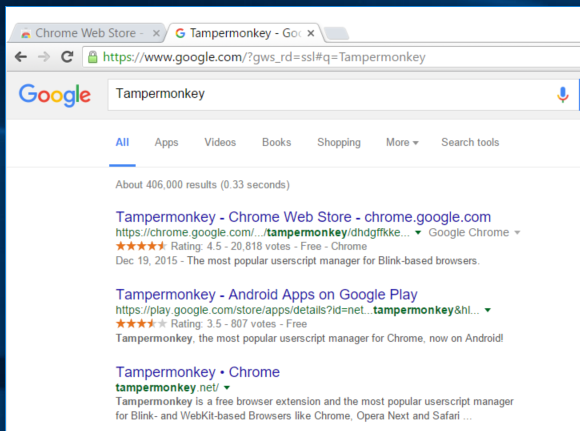 Search for Tampermonkey and the top result is Tampermonkey 2016, which has a helpful review stating, “fake, don’t get fooled.” The second result is a web-based game titled Grepolis, and the third result is Google Finance. Those last two don’t even make sense here. You’ll find the Tampermonkey extension you want in the fourth spot, under Extensions. Tampermonkey, despite being more relevant and having many more users than any of the apps in this example, will always be in the fourth spot down. The Chrome Web Store's search layout pushes bad apps over trustworthy extensions. Search for ublock and the top result is uBlock Origin, but it’s a fake, malicious app. For whatever reason, the second result is again an unrelated game named Dora Candy Transport, and the third result is a VPN named Gom VPN. Again, you won’t find the popular extension you’re looking for until the fourth spot down. Thankfully, the top results aren't always deceptive, malicious apps. Often, they're safe but just entirely unrelated apps, and you still have to scan to the fourth spot for the extension you’re looking for. The Chrome Web Store's search often offers up just-plain-irrelevant apps, too. Google is a search company, and therefore should be a master at search. But the Chrome Web Store's search function is lacking. 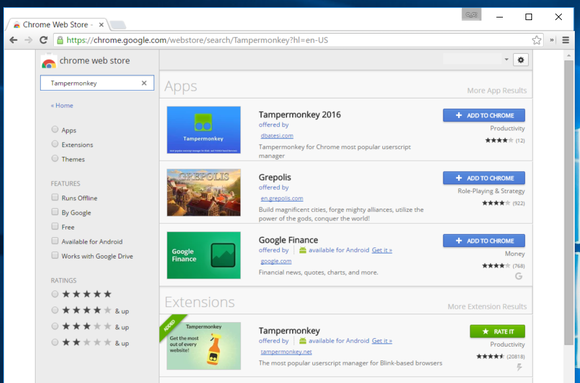 Google search knows which extensions are the most relevant—search for Tampermonkey via the main Google search engine and the extension’s page on the Chrome Web Store will be the first result. So why is it the fourth result when you search the Chrome Web Store itself? Google's main search engine works better for finding Chrome extensions than the Chrome Web Store's does. It’s easy to guess why the Chrome Web Store works this way. Google really wants to push its Chrome app platform. But Chrome apps haven't taken off. There are a handful of useful Chrome apps, but most people are just looking for extensions. Google should just list the most relevant results and stop pushing its Chrome apps so hard. This will help protect Chrome users from scammers. Microsoft took a lot of heat for similar issues in its Windows Store. After an article I wrote about that went viral and public dissatisfaction with the store grew, Microsoft finally cleaned up its act. It’s high time Google cleans up the Chrome Web Store, too.